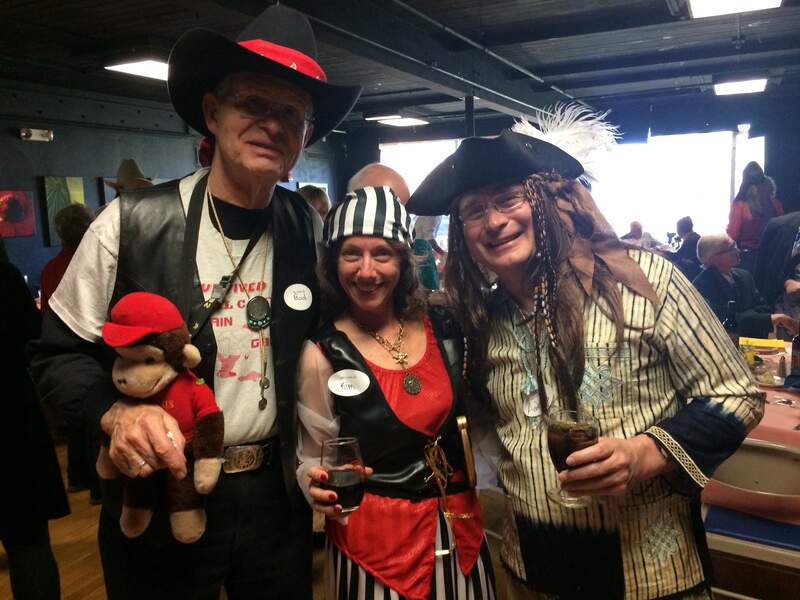 From left, Bud Poe, Kim Schwartz and Andreas Tischhauser get their best pirate on at the “Pirates of Penzance” fundraiser for the Fort Lewis College Theatre Department. 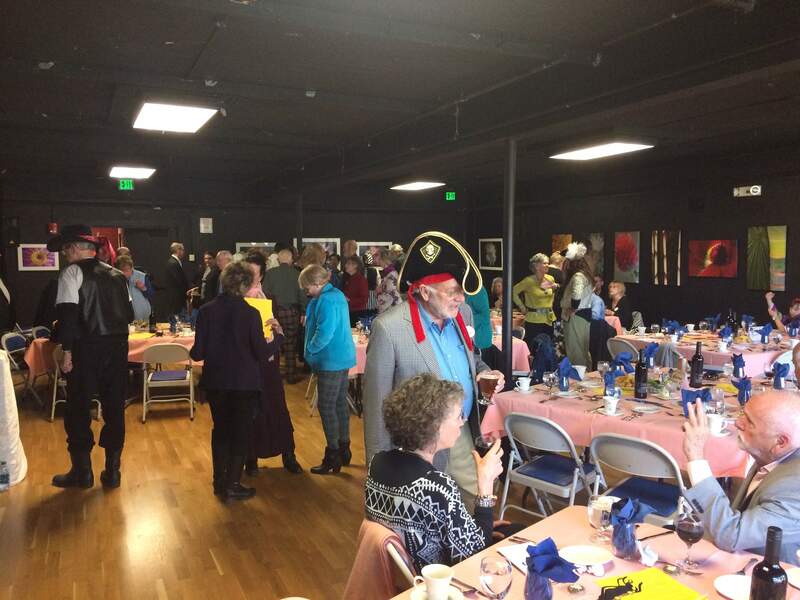 Guests are in a high seas mood at the “Pirates of Penzance” fundraiser for the Fort Lewis College Theatre Department. 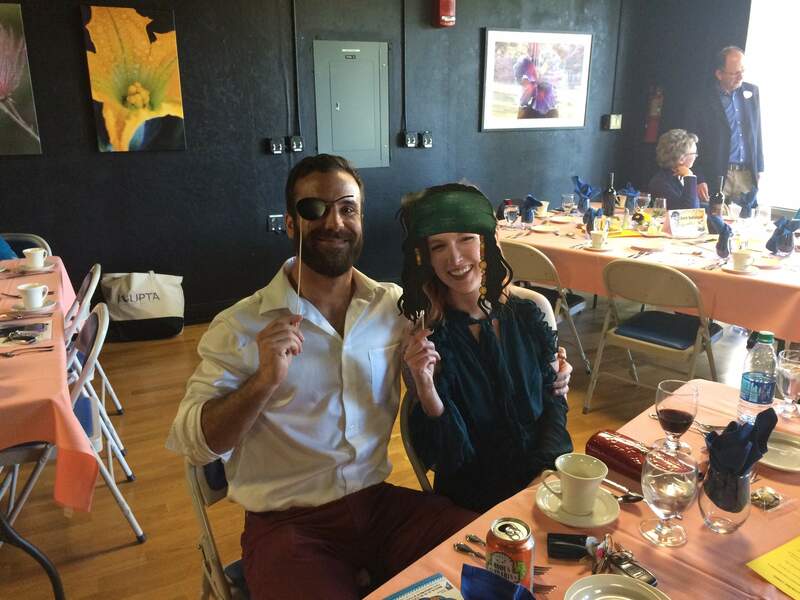 Nick Anesi and Lauren Greaves adopt the pirate theme at the “Pirates of Penzance” fundraiser for the Fort Lewis College Theatre Department. The only thing missing was that it wasn’t Talk Like a Pirate Day at the “Pirates of Penzance” Opening Night Gala on March 24 at the Fort Lewis College Theatre. Because calling it a piratical extravaganza would not be hyperbole. So many guests “got their pirate on” that they could have been mistaken for the actors in costume. The gala began with a feast full of tropical references, also known as pirates’ grub – silver dollar crab cakes with remoulade sauce; tropical guacamole crisp; coconut-shrimp bites; tropical slaw with arugula and spicy mango dressing; piña colada chicken kabobs; Kahlua pork; jasmine rice; Caribbean corn; sweet potato pancakes; crème caramel; and key lime tarts. The live auction may have been full of laughs, but the proceeds were for a serious purpose – to help the theater program buy items needed to produce the variety of productions it has offered in recent years and offer scholarships to support theater students. The department wanted to buy five Bernina sewing machines (with 29 characters in the Gilbert and Sullivan production, you can get some idea of how those are needed) and add a mirror wall and ballet barres for training actors for musical performances. Hmm, I feel a chorus of “I Am the Very Model of a Modern Major General” coming on.